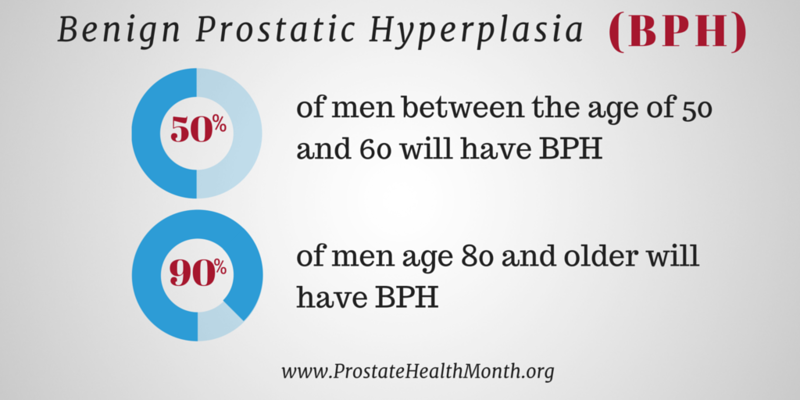 September is recognized as Prostate Health Month and also Prostate Cancer Awareness Month. Prostate Cancer Awareness Month is celebrated with Twitter chats, prostate cancer screenings, and awareness events across the country. In the USA, each year Congressional Resolutions are introduced, there are presentations in Congress, and the President issues a proclamation recognizing Prostate Cancer Awareness Month. You can view the latest Presidential Proclamation here . Proclamations from Governors and others can be found here. Local and national awareness organizations and professional associations engage in activities designed to raise awareness of the issue and encourage men to talk to their healthcare provider about prostate cancer and early detection. In the USA, over 160,000 men are diagnosed with prostate cancer each year, and about 30,000 die from it. Early detection is the key to successful treatment. This awareness period, and the organizations and associations that support it, are responsible for saving an untold number of men’s lives by encouraging them to have a discussion with their healthcare provider about prostate cancer and early detection. The leading center of prostate cancer research and information. Provides information on prostate cancer incidence and mortality, and conducts critical research on treatment decision-making and outcomes. 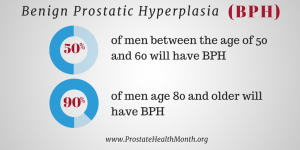 Provides basic information on prostate cancer and yearly statistics on almost all cancers. Professional medical association whose membership is urologists. The Urology Care Foundation is the official foundation of the American Urological Association. The online health and parenting information center for men and boys. 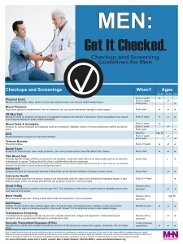 A variety of fact sheets and other publications on prostate cancer and other male health issues. A comprehensive on-line library that covers all aspects of men’s health, including prostate health issues. 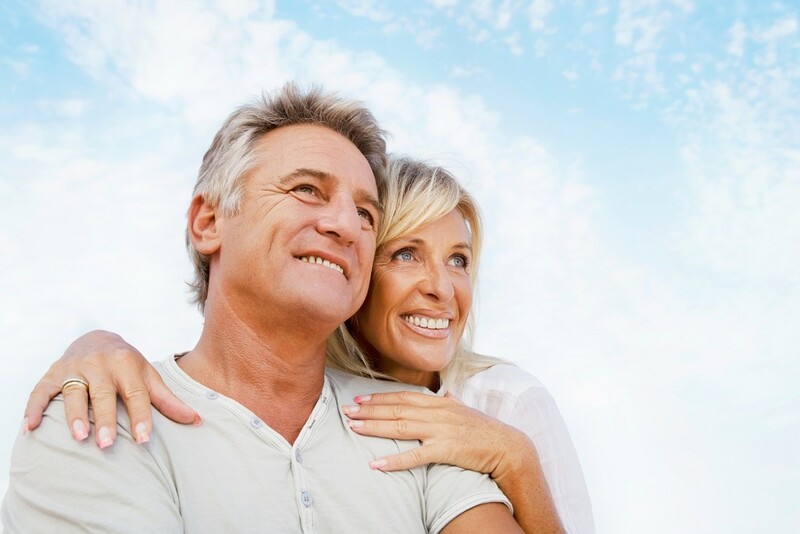 Site includes a wide selection of brochures on prostate health, some in Spanish (search: prostate brochure). A man is at higher risk if he has a family history of prostate cancer. By tracking the health of your parents, siblings, and other relatives with a family medical tree, you and your health care provider have a useful tool to help determine your risk for prostate cancer and many other diseases. Blogging on the Health and Wellbeing of Men and Boys, featuring articles by the thought leaders in male health, including those associated with key health associations. A comprehensive report on the health and wellbeing of men and boys in each state, including current prostate cancer incidence and mortality data. Please use this toolkit to help spread the word during this critical health awareness period. To stay updated on the latest activities, follow and like the Men’s Health Network Twitter and Facebook accounts. This Digital Training Manual is meant to serve as a guide so you can plan, conduct and evaluate your own health event, no matter what size. This can be a screening event, a health fair, a table exhibit at work, where you worship, or where you play sports, or distribution of health information materials to your coworkers, fellow worshipers, team members, or loved ones. 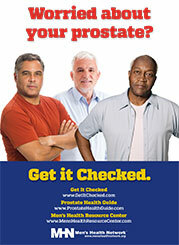 Download prostate health posters here. A variety of men’s health posters, including those on prostate health and prostate cancer, can be downloaded here. Features a wide variety of educational materials relating to men’s health, including brochures and other merchandise designed for prostate cancer awareness. And, you can purchase a Prostate Cancer Awareness Month promotional kit, with posters, shower hangers, brochures, and more. In the USA, about 180,000 men are diagnosed with prostate cancer each year, and about 30,000 die from it. 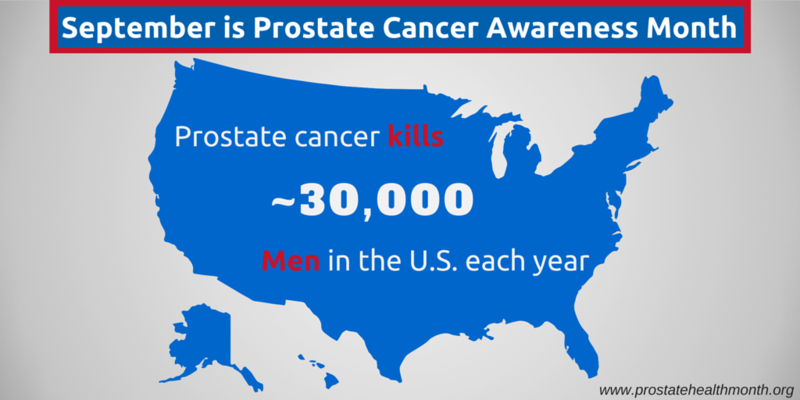 There are almost 2.8 million men living with prostate cancer in the USA. Early detection is the key to successful treatment. This awareness period, and the organizations and associations that support it, are responsible for saving an untold number of men’s lives by encouraging them to have a discussion with their healthcare provider about prostate cancer and early detection. For media inquires please contact us here.